I would like you to listen closely. That’s what Berberian Sound Studio—a new mind-warping creeper helmed by Peter Strickland—asks you to do. This is a dissociative sort of picture. One in which what you hear is not what you see and what you see is not what you get. In the film, the mighty hedgehogian actor Toby Jones portrays Gilderoy, a foley artist and sound mixer who is hired to work on an Italian film called The Equestrian Complex. Gilderoy is the sort of timid fellow who works on nature programs, so he’s somewhat shocked to discover, upon arriving in Italy, that his gig is on a horror film in the giallo style. Witches returning from the dead to exact retribution for torture. Not so pastoral. He’s been specially requested, though he never asks why. While we, as audience, do not see any of The Equestrian Complex, we do hear it all as Gilderoy stabs melons and tears cabbages and otherwise mimics the sounds of horrible things being done to schoolgirls. While he records the sounds of young women screaming until their voices go. And, of course, Gilderoy loses his way. His producer is a manipulative blade, the director a masher, and the film a nightmare in every sense. His life becomes a giallo horror film as his work overtakes him. Toby Jones plays Gilderoy like an heirloom wrapped in tissue. He wants to quit, but can’t. He retreats to his quiet cottage in the woods where he carefully lifts a delicate daddy-long-legs and releases it into the wild outside his door. He slips out into the night to walk on leaves, the soft crackle reminding him of home. But outside his front door is only the interior of the Berberian Sound Studio. He is creating the foley for his own life as he gradually becomes unhinged. It’s what you don’t see in Berberian Sound Studio that’s frightening. 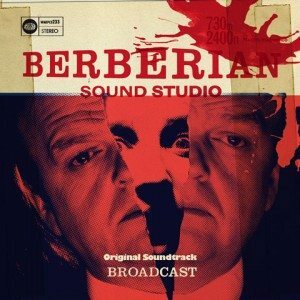 Berberian Sound Studio does some wonderfully awful things with noise, light, and suggestively sepulchral moods. It is less compelling, however, when it comes to hooking the audience along on its journey. Towards the end, I felt too much like an observer and not enough like a victim. I saw Gilderoy spin out of control, but I stayed still. Quiet! The cabbage is listening. I will not say that this is a failure on the film’s part. 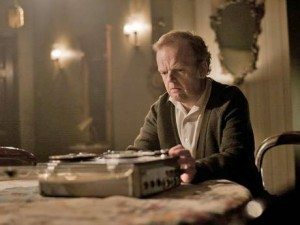 Berberian Sound Studio was and is something I enjoyed, a picture displaying ample style and well-considered effect. Toby Jones’ was the only face I recognized in it, but hardly the only one I’ll remember. 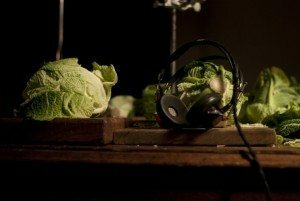 And I’ll be unlikely to ever eat cabbage again without thinking of how they sound when left to their own evil devices.